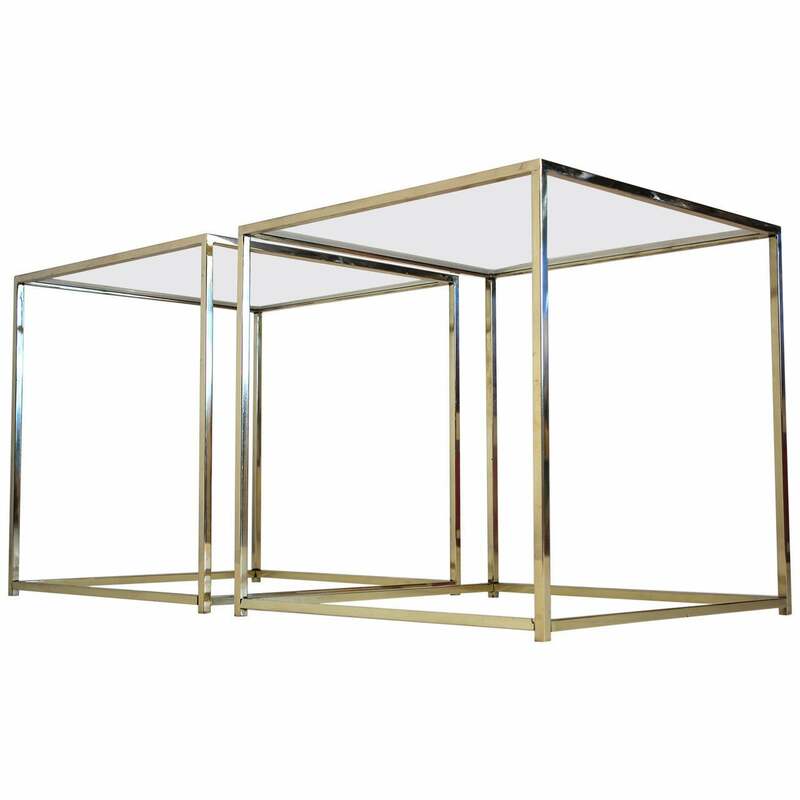 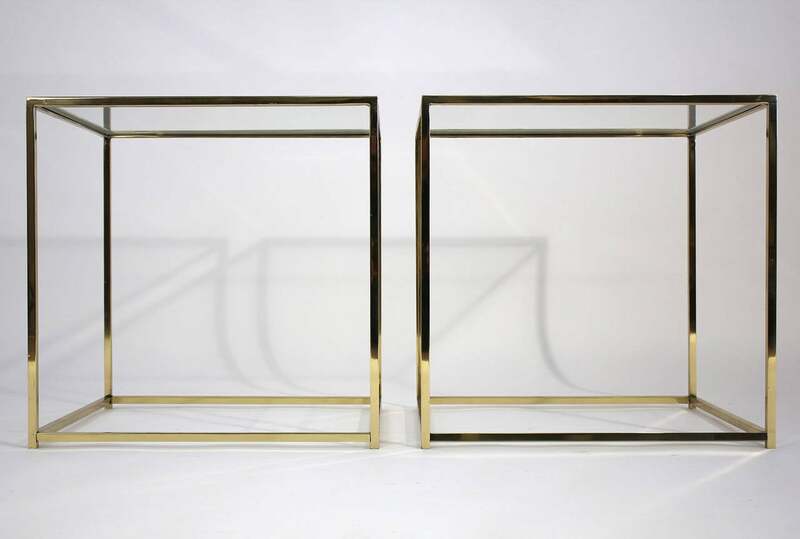 Pair of 20" cube shaped side tables with polished brass base and clear glass tops, circa 1970s. 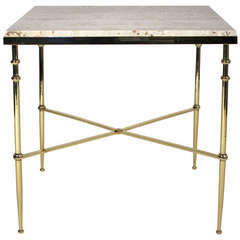 Elegant and simple polished brass side table with travertine top in the manner or Maison Jansen or Bagues. 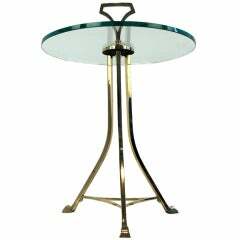 Italian brass and glass side table in the manner of Fontana Arte. 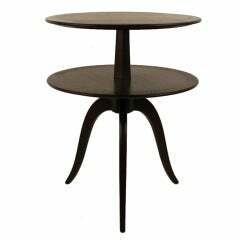 Two-tiered side table designed by Ed Wormley for Dunbar. 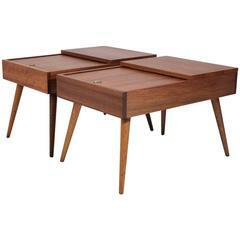 Early Brown Saltman end tables designed by John Keal, circa 1950s. 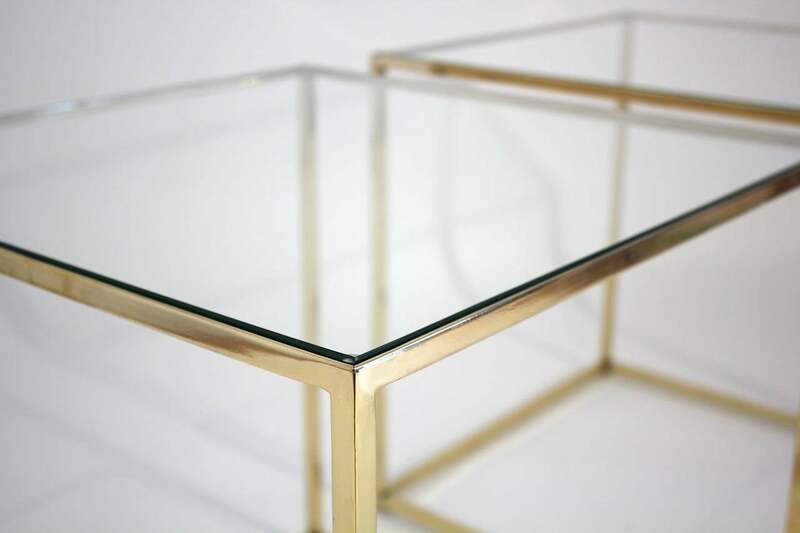 Made of beautiful mahogany wood. 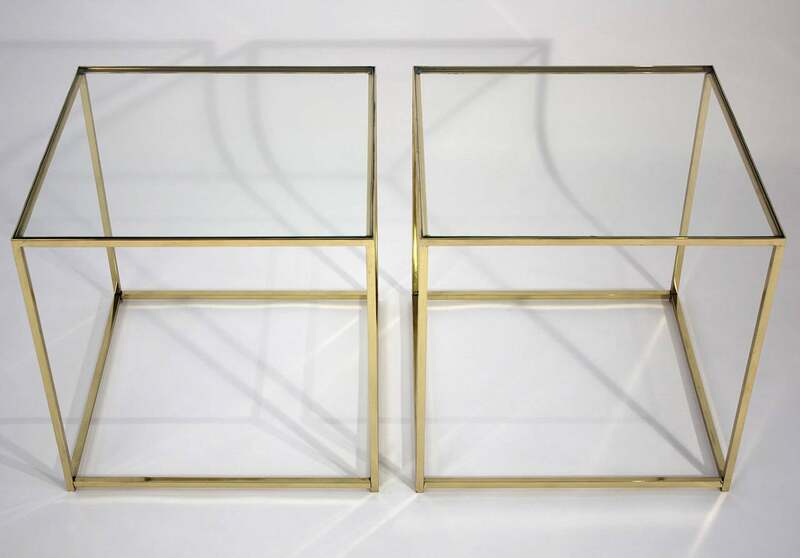 Top drawer slides for storage. 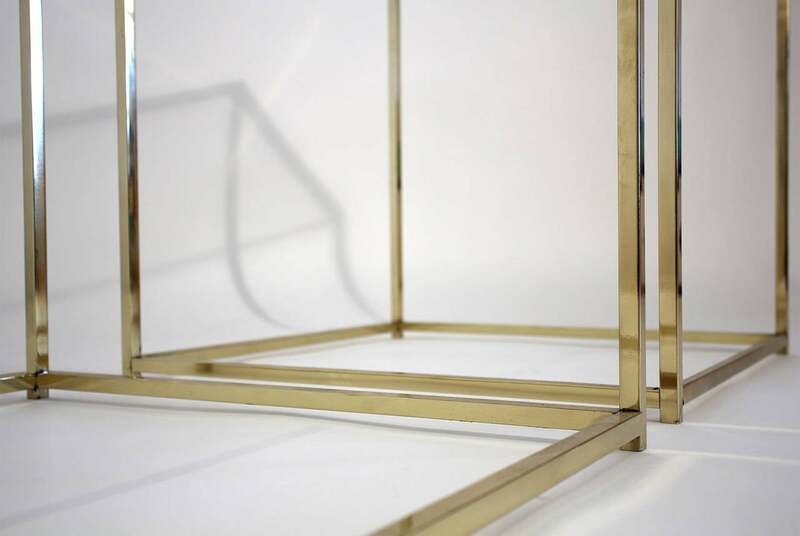 Wood is completely restored to original condition. 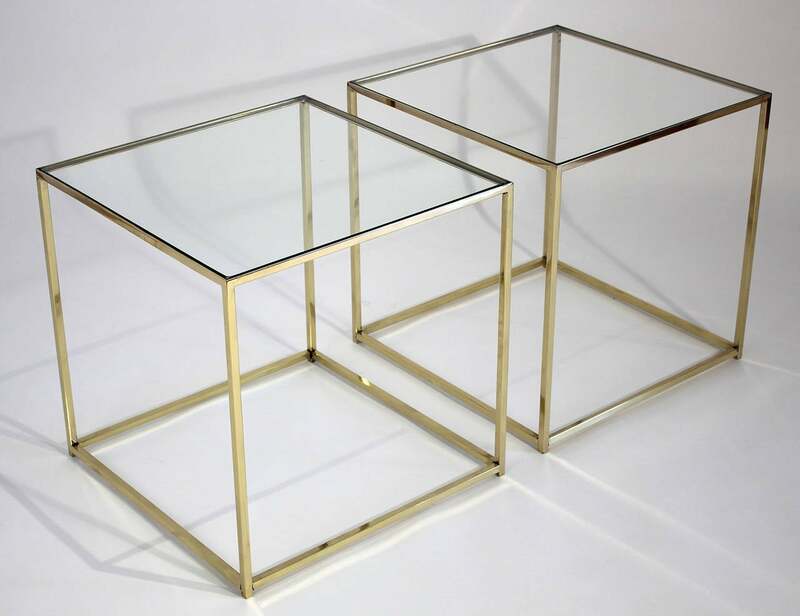 Mid-Century Modern thick glass cube shape side table connected with four brass faux bamboo rods and ball finials. 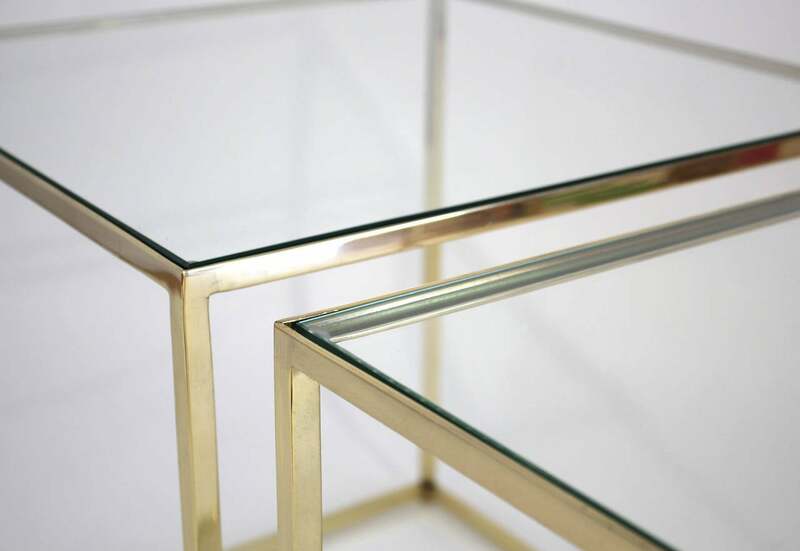 Brass trim glass top Maison Jansen style occasional table.